Plant a tree in memory of Franklin "Jerry"
Be the first to share your favorite memory, photo or story of Franklin "Jerry". This memorial page is dedicated for family, friends and future generations to celebrate the life of their loved one. 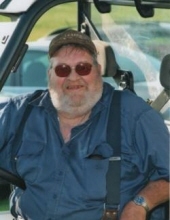 Fairfield – Franklin “Jerry” Yates a lifelong area resident, dairy farmer and maple producer, passed away on Wednesday, February 6, 2019, at the UVM Medical Center with his family at his side. Jerry was born on August 17, 1935, in the farm house that he would live in for 83 years. He was the youngest child of the late Reginald and Hortense (Girard) Yates. On August 25, 1962, he married the girl next door, the former Mary Raymond. Together they raised six children and operated the family farm. Jerry is survived by his wife of 56 years, Mary; their children, Linda and Greg Hodet, John and Cathy Yates, Lisa and David Paradee, Tom and Lynne Yates, Lori Lamos and Steve and Robin Yates as well as 10 grandchildren, Courtney Hodet, Melanie Carswell, Hudson Hodet, Britany and Katelyn Yates, Hunter and Morgan Lamos, Caryssa, Jenyssa and Cayden Yates and 2 great-grandchildren, Briella and Jaren. He is also survived by his brother-in-law, Ken Raymond, sisters-in-law, Claire Yates and Pat Raymond and his faithful canine companion, Abby. In addition to his parents, he was pre-deceased by his sisters, Persis Boysen and her husband, Bill, and Frances Theresa Yates and brothers, Reginald Yates and Richard Yates and his wife, Betty, and his father-in-law and mother-in-law, Walter and Margaret Raymond. Jerry was a former member of the Fairfield Select Board and Zoning Board and also served as the Town Health Officer, he served 29 years on the board of the Franklin County Conservation District, has the longest running St. Albans Co-Op farm number and was an avid Red Sox fan. Relatives and friends are invited to attend calling hours on Friday, February 15, 2019, from 4:00 to 8:00 PM at the Heald Funeral Home, 87 South Main Street, St. Albans. A Mass of Christian Burial will be celebrated on Saturday, February 16th at 11:00 AM at St. Patrick Catholic Church, 116 Church Road, Fairfield with the Reverend William Giroux as celebrant. Interment will be at a later date in St. Patrick Cemetery. Jerry’s family asks that memorials in his name be made to the Fairfield Scholarship Fund, c/o Joy Kane, 3254 Lapland Road, East Fairfield, Vermont 05448 or Franklin County Area Cancer Network, P.O. Box 1186, St. Albans, Vermont 05478. To send the Yates family a message of condolence or share a memory, kindly go to his on-line guest book at www.healdfuneralhome.com. To plant a tree in memory of Franklin "Jerry" G. Yates, please visit our Tribute Store. "Email Address" would like to share the life celebration of Franklin "Jerry" G. Yates. Click on the "link" to go to share a favorite memory or leave a condolence message for the family.